Do you have a list of rules about the flea market? Yes. Click the image to the right that says "Flea Market Rules". 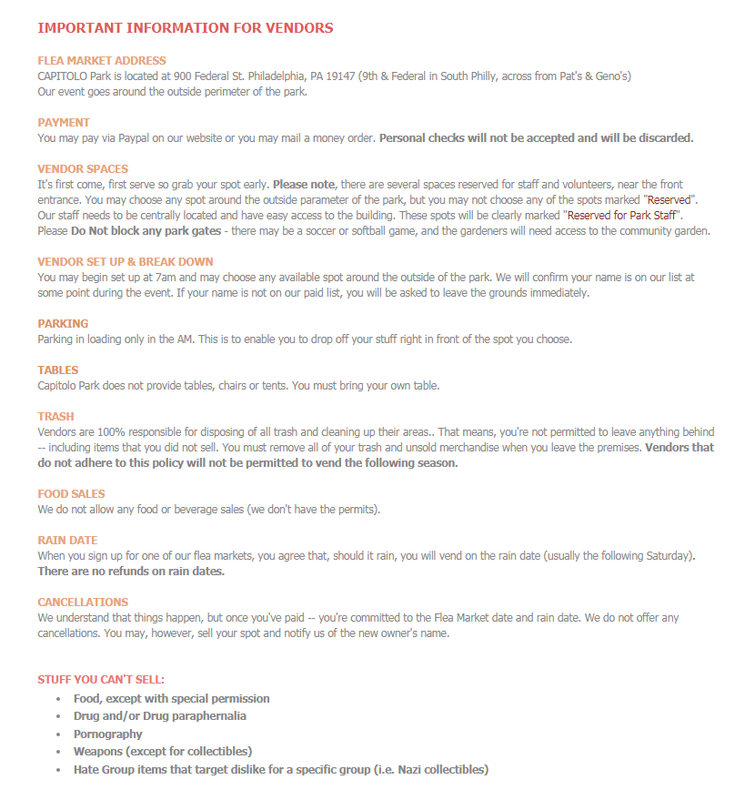 When you sign up to be a vendor, you're responsible for reading all rules and understanding the things you are and are not permitted to sell and our rain date policy. You also understand that you are 100% responsible for all of your trash and clean up around your area. Vendors that don't comply with this policy will not be allowed to vend with us again. Please visit the vendor page to read the rules. Sometimes, despite all of our weather chants and sun dances — it just rains on a Saturday. When that happens, we will either move the flea market to the following Saturday, or the specified rain date. When you buy a spot with us, you need to understand that there are no refunds if it rains on a Saturday. The flea market will happen the following week. The rain date is posted on every flyer we put up and on our website. So, if you can't commit to both days, don't buy a spot. Can I park in front of my spot? Do the No Parking signs apply to vendors? As a vendor, YOU MAY PARK YOUR CAR AROUND THE FLEA MARKET ON THE DAY OF THE EVENT, even though there are No Parking signs. Ignore those signs. We put them up to save spots for you. Our flea markets occur around the outside of the park (see photo) and vendors set up on the sidewalk for maximum exposure. If you can get a parking spot in front of your tables, you may park there. We put up 'No Parking' signs around the park the night before to try to help you get your spot. On the day of the event, you may park anywhere you can. Ignore the signs. They don't apply to you. 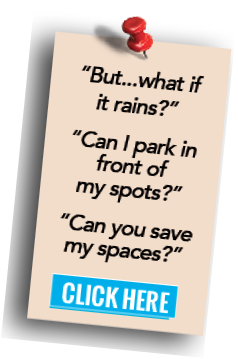 Can you save a parking spot in front of my space? No. Sorry. This would be an administrative nightmare. Street Parking is very challenging in South Philadelphia, so please be advised that if you vend with us, we cannot guarantee parking spots. We put up no parking signs the night before to help clear the space around the park. If you can get a spot on the day of the flea market, it's yours. We can't reserve parking spaces or guarantee you'll get a spot in front of your table. We advise you check out the FREE public parking lot on 12th & Reed. There are "No Parking" signs around the park. I'm vending. Can I park there during the flea market? YOU MAY PARK AROUND THE FLEA MARKET ON THE DAY OF THE EVENT. IGNORE THE NO PARKING SIGNS. Starting at 7AM, these parking signs do not apply to our vendors. We put up No Parking signs the night before to help clear the space around the park for you. 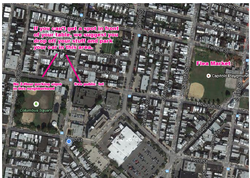 If you can get a spot on the day of the flea market — it's yours. I'm going to buy my spots the day of. Can you save a few spots for me. Also, can I get the discount? No and no. Discounts are ONLY for vendors that order their spots in advance and, quite frankly, we usually sell out of spots. WE STRONGLY RECOMMEND you buy your spots in advance. If you wish to buy your spot the day of, please check our website before you lug your stuff over. Most likely, we are full and you can't get a spot anyway. I'm going to buy a few spots in advance. Can you save them for me so I can get my spots next to each other. It's first come first serve. What you're asking for is a logistical nightmare for us, and we can't do it. Quite honestly, though, if you come early you shouldn't have a problem. I'm part of a thrift store. Do you donate the extra items? Can we come by and work something out with you and your vendors? YES! If you're a thrift store and you want to pick up the extra items for your location, click here. 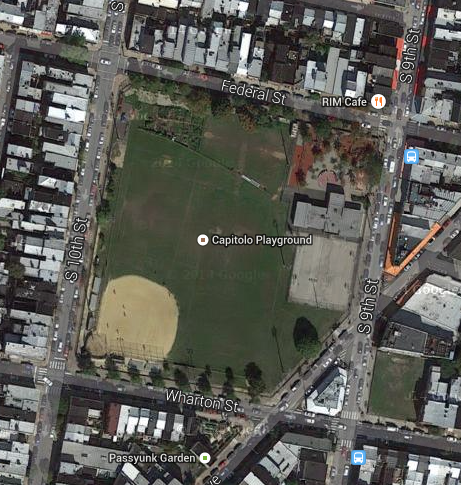 Can I volunteer and get involved with the Capitolo Park Flea Market? YES! If you'd like to volunteer to help, we'll give you a free table the day of the event. You need to put in at least 3 hours of work before the flea market event. click here. I have questions that are not answered here. You can learn more about our flea markets here. If you still don't find what you're looking for, please email us. Birds Eye View of the Park. 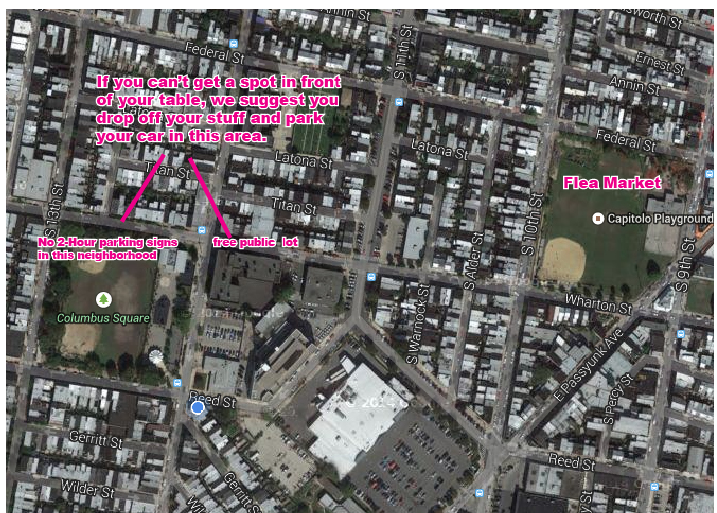 You may park around the outside parameter on the street if you can get a spot that day.